What is it that comes to mind when you think of typical drinks in Spain? If you’re picturing a fresh pitcher of sangria, I can’t blame you—the fruity wine-based cocktail is very closely associated with Spain. 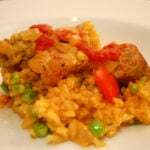 However, while delicious, it’s not something most Spaniards drink on a day-to-day basis. 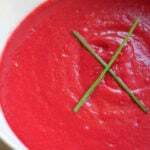 Instead, residents of any given city will almost always go for one of the local specialties. Seville is no different. 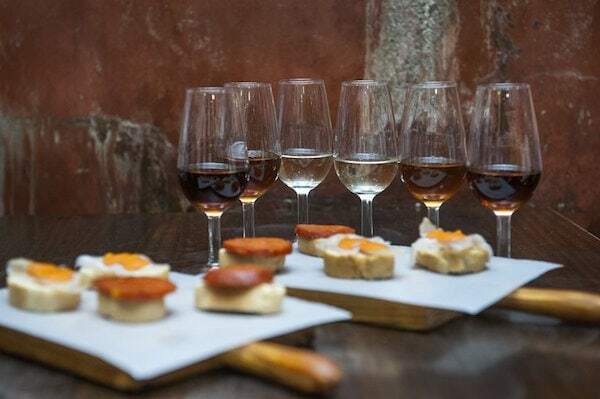 From the colorful and delicious spectrum of sherry wines to cool and refreshing beverages that taste perfect on a scorching summer day, the options for what to drink in Seville are plentiful. Keep your eyes open for these tasty picks at any bar or restaurant, and you’ll feel practically sevillano yourself. Delicious sherry wines are just the beginning. If you’re anything like me, you might think this one sounds a bit strange at first. I like orange flavors, and I like wine, but couldn’t imagine how the two could possibly taste together. 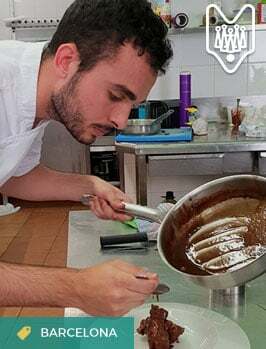 Then I went to Álvaro Peregil’s renowned Seville tavern La Goleta (Calle Mateos Gago, 20), where I actually tried it for myself and immediately understood the hype. 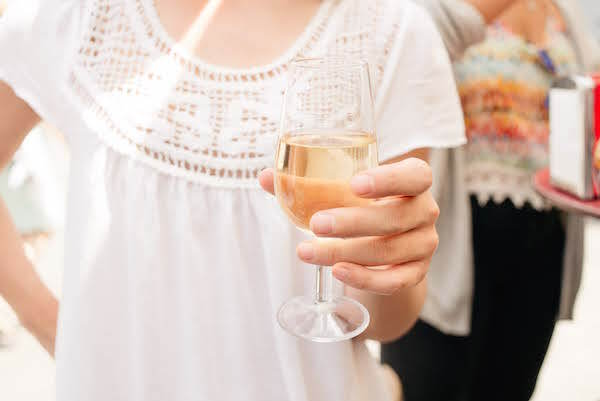 Álvaro’s family is credited with bringing orange wine to Seville from their native province of Huelva more than 100 years ago, and to this today, it remains one of the Andalusian capital’s most emblematic beverages. Fortified, dark, and just sweet enough, the wine’s subtle orange taste captures the essence of Seville in every sip. 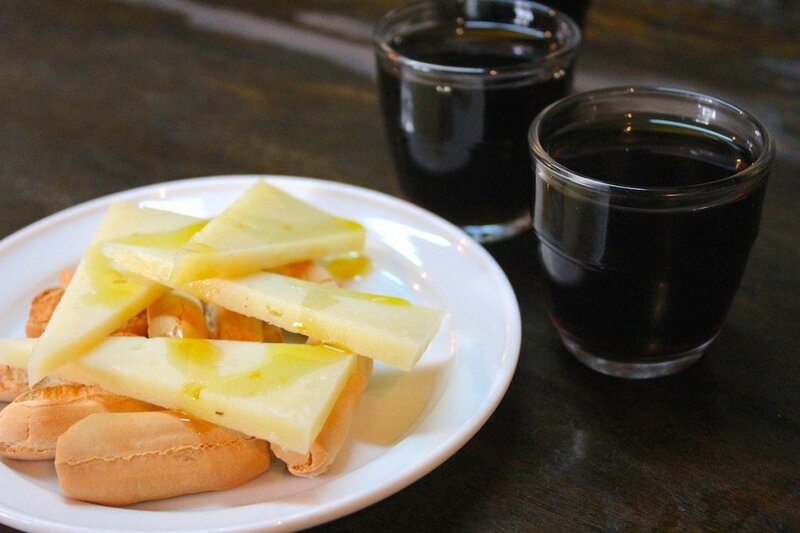 A match made in heaven: delicious orange wine and a tapa of manchego cheese drizzled with local olive oil. Before moving to southern Spain, I always pictured sherry as the ebony-colored, sickly sweet drink my great-grandmother used to enjoy. I never imagined it could come in a full range of colors and flavors, much less a bone-dry, pale white variety such as manzanilla. And while the intense dryness of manzanilla was originally an acquired taste for me, I now see it as synonymous with Andalusia itself, and it’s become one of my favorite things to sip while sitting out on a sunny terrace. Manzanilla sherry is produced exclusively in the seaside town of Sanlúcar de Barrameda. The beachy breeze here allows for the formation of a thicker layer of yeast (known as flor), giving manzanilla a paler hue and even drier taste than its cousin Fino. 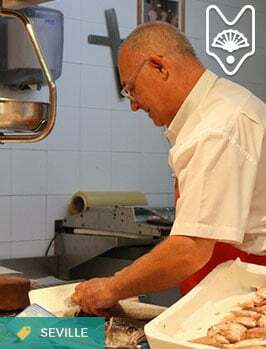 It tastes best when chilled, makes an excellent aperitif, and tastes especially delicious when paired with southern Spain’s mouthwatering fresh seafood. 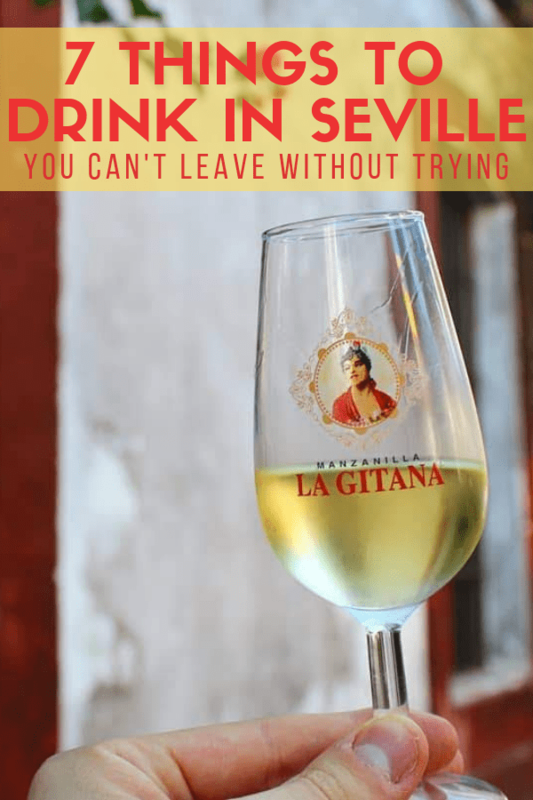 Manzanilla sherry is the perfect way to start any meal, especially on one of Seville’s trademark hot summer days. As one of the most unique options for what to drink in Seville, amontillado falls near the center of the sherry spectrum. In terms of the aging and production process, it’s essentially a cross between fino or manzanilla and oloroso. It begins aging under a layer of yeast, and in the second stage, the yeast disappears, exposing the wine directly to the air. The result: a complex, elegant dry wine with a nutty and intense taste. What’s also great about this variety of sherry is that no two amontillados are exactly alike. The amount of time spent in each stage of the aging process can affect the wine’s color and flavor. If you’re looking for a pleasantly surprising, authentic drink that Sevillanos love, there’s a bottle of amontillado with your name on it. See Also: Pair your drink with one of the tasty options in Lauren’s complete guide to eating in Seville! If you’re looking for a complex, artisanal, one-of-a-kind beer, Cruzcampo isn’t for you. As the draught beer of choice at the no-frills watering holes particularly popular among Seville’s grandpas, this brew is as simple as it gets—but its imperfection is what makes it so unexpectedly perfect. Generations of Sevillanos have washed down their tapas with an ice-cold Cruzcampo, and on one of the brutal summer days so typical of southern Spain, absolutely nothing tastes better. Set aside your pretenses and expectations and join the locals for a caña—you’ll likely be pleasantly surprised. 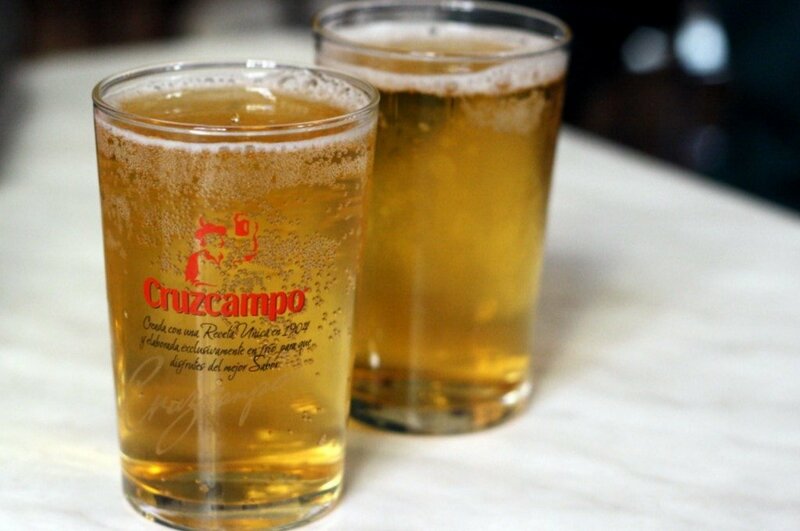 Cruzcampo is Andalusia’s most popular draught beer. Remember how I said locals don’t really drink sangria on a typical day or night out here in Spain? 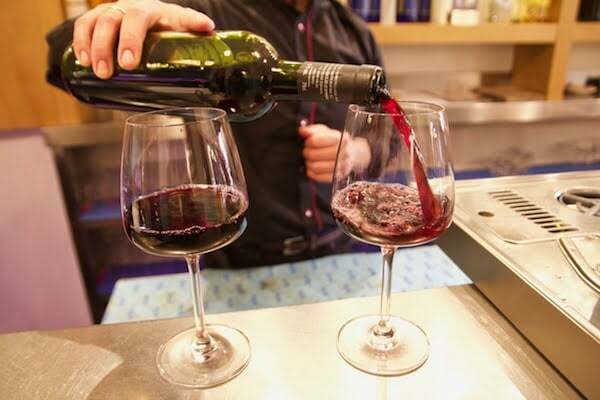 That doesn’t mean they’re completely opposed to all wine-based concoctions—they just tend to stick with the same mindset that holds true for much of Spain’s gastronomy: the simpler, the better. 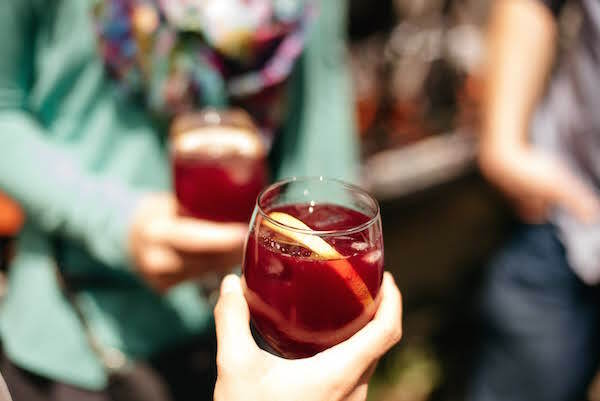 While tourists throughout Seville will order up sangria by the pitcher, you’ll find locals sipping on tinto de verano, a stripped-down alternative with just two ingredients: red wine and soda. Tinto de verano can be made with two different kinds of soda. The first is casera, which is sweetened carbonated water. The second is with a lemon-flavored soda such as Fanta. I personally prefer the latter—the refreshing citrus flavor gives it an extra-delicious touch. When ordering, just be sure to specify tinto con casera or tinto con limón. Tinto con limón always hits the spot! Still craving sangria? Lauren’s tried-and-true traditional Spanish sangria recipe is better than the overpriced stuff you’ll get at most bars! 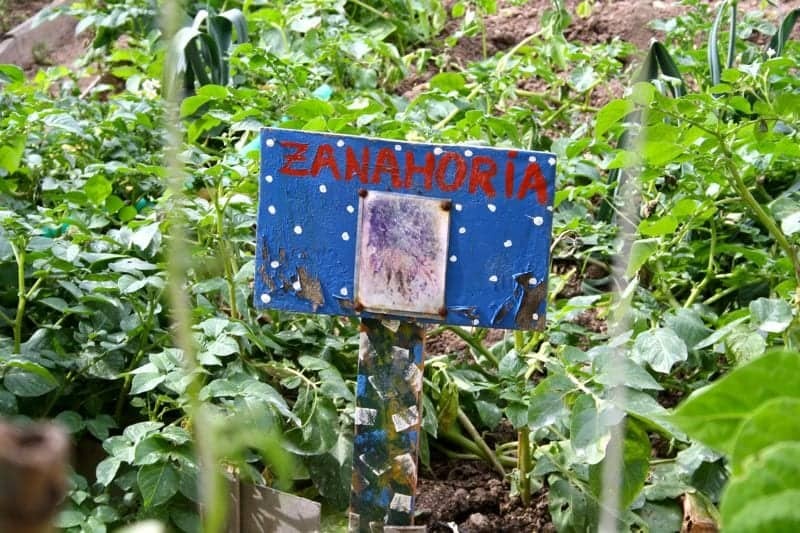 Let’s step outside busy Seville for a second and head west, to the rural region known as the Aljarafe. From here comes one of the least-known (at least among visitors) options for what to drink in Seville: a sweet, young, white wine known as mosto. Aged for just about 40 days, mosto has a low alcohol content, refreshing taste, and aromas more reminiscent of apples than of grapes. November is prime mosto season in the Aljarafe. It’s the month when the grapes have been harvested, pressed, and aged for forty days, giving us the tasty final product. It’s an especially popular drink at the start of the harvest season, ubiquitous at festivals throughout the region. If you’re visiting Seville in the springtime, rebujito is hard to avoid. As the most emblematic drink of the annual Feria, this option for what to drink in Seville is a cousin of tinto de verano in that they’re both made with wine and soda—nothing more, nothing less. Rebujito is a refreshing mix of manzanilla sherry and 7Up. While many bars serve it year-round, it tastes better than ever when enjoyed in its element at the fair. Want to grab drinks (and food, of course) with a local? Devour Seville’s Tapas, Taverns & History Tour is calling your name. This 2-in-1, small group experience will take you to Seville’s most emblematic bars and restaurants, where you’ll enjoy the bites and drinks that have rightfully earned their place in the city’s history. 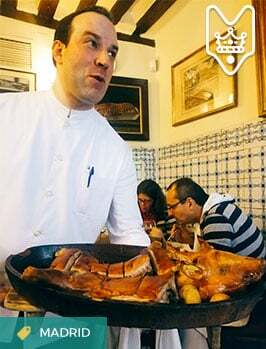 Don’t miss this opportunity to eat and drink like a local in one of Spain’s most storied and celebrated destinations! 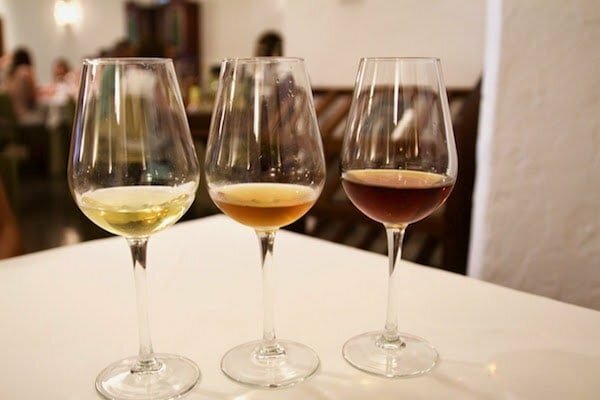 Watch: Everything you need to know about sherry wine in Spain!